When senior stylist Gaila Moreu decided to open her own salon, her goal was to create a place where people could escape the bustle of everyday life and enjoy great hair services in a warm, friendly and relaxing environment. Situated in The Sands Complex across the road from beautiful Tahunanui Beach, H2O Hair is the oasis she envisoned – a salon as unique and inspiring as its location. The difference is noticeable from the moment you enter. As an ammonia-free studio, there are no harsh chemical smells assaulting your senses, only the pleasing aromas of organic coffees and teas sourced from local vendors. Upbeat ambient music sets the mood, while the sway of the Pheonix palms outside the windows provides an exotic, resort-like feel. Clients can slip into the comfortable chairs and immediately unwind with a complimentary aromatherapy scalp massage before their cut and style, and robes are available to protect clothing from hair and colouring if required. People waiting for their colour to process are welcome to sample a Raglan Roast coffee from next door while reading the latest magazines, and free internet access is available for those who want to surf the web – many of the small touches that set H2O apart. Plentiful free parking in the covered garage at the back ensures clients won’t have to brave the elements when they leave, but there’s more parking near the beach if they want to take a leisurely stroll afterwards. 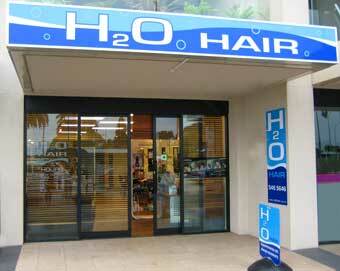 H2O Hair is an experience that is sure to exceed your expectations, and we hope to see you soon!